The award for this past fortnight goes to the player we think is leading the four horse race for AL MVP. Are there any other players in the conversation besides MiggyCab, Josh Hamilton, Robinson Cano, and Joe Mauer? 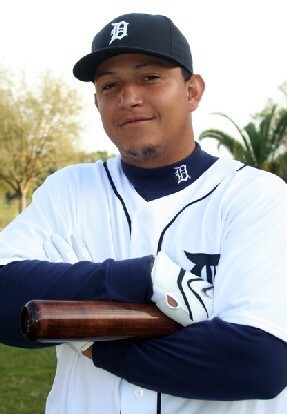 Cabrera’s fortnight stands out because of his 5 HR’s, .479 wOBA, 14.0 wRC, 2.4 BB/K, and a triple slash line of .364/.500/.750. Short-term pitching awards like these can often be overly affected by timing. Clay Buchholz had a great couple of starts the past couple of weeks, going 2-0 with a 0.00 ERA. In 13 innings pitched, Buchholz gave up 10 hits, 5 walks, with 10 strikeouts. 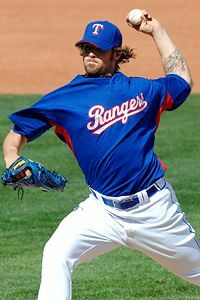 Wilson, known to his Twitter followers as Str8edgeracer, was fortunate to capitalize on his three most recent starts. He went 3-0 with a 1.21 ERA, 22.3 innings, 14 hits, 4 walks, and 26 strikeouts. Looking at the advanced stats, we see that Wilson led the league with a 1.31 FIP and 2.23 xFIP (Buchholz 2.72 and 3.46, respectively). Others receiving consideration include Matt Garza, King Felix, Max Sherzer, Zack Greinke, and C.C. Sabathia. We don’t know what Chipper Jones may have done with these at bats, but the Braves are certainly fond of their All Star sub now that Chipper is out for the year and perhaps forever. Omar Infante is not known for his power, but he muscled 4 HR’s this past fortnight, with a triple slash line of .429/.458/.732. Our hitting awards traditionally go to players who walk more than 5% of the time, but Infante led both leagues with a 16.2 wRC. 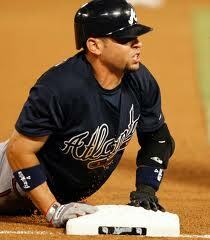 Plus, his timing to step up when the Braves needed him most is not going overlooked. Overall, there were better hitting performances in the American League the past two weeks, but other NL'ers receiving votes include Albert Pujols (league leading OBP, SLG, wOBA, and tied for HR’s) and Hunter Pence (Tied Albert with 5 HR’s and 3rd in NL with 13.5 wRC). This was the toughest award to give out. When comparing NL pitchers the past two weeks, there is a conflict between traditional stats and advanced metrics. For example, let’s look at Jon Garland and Ted Lilly. Garland went 3-0 with a 0.98 ERA, but he was very lucky with a .232 BABIP, a 1.2 K/BB ratio, and even luckier with a 97.4% strand rate. His xFIP is 9th worst among qualifiers at 4.86. Needless to say, he’s disqualified from our award. Ted Lilly also went 3-0, with a 1.71 ERA, but his 2.96 FIP and xFIP of 3.76 are not good enough. 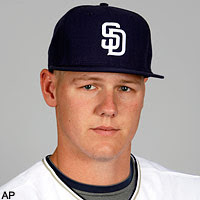 Mat Latos went only 1-0 in two starts, with a 2.08 ERA, but he wins our award by leading the National League with a 1.41 FIP, 1.88 xFIP, 13.15 K/9, 0.69 BB/9, and of course a 19.0 K/BB ratio. We’re getting into the homestretch of pennant races and yearly, personal awards. Hopefully, there will be more days like yesterday with remarkable performances by Willie Bloomquist, Carlos Gonzalez, Jason Heyward, Felix Hernandez, not to mention the Rockies comeback and Giants failed comeback. Tonight, we’re looking forward to seeing Jordan Zimmermann making his post Tommy John debut in St. Louis, Frankie Liriano v Cliff Lee, and the Tigers/Blue Jays matchup of Sherzer v Romero. Enjoy the action.